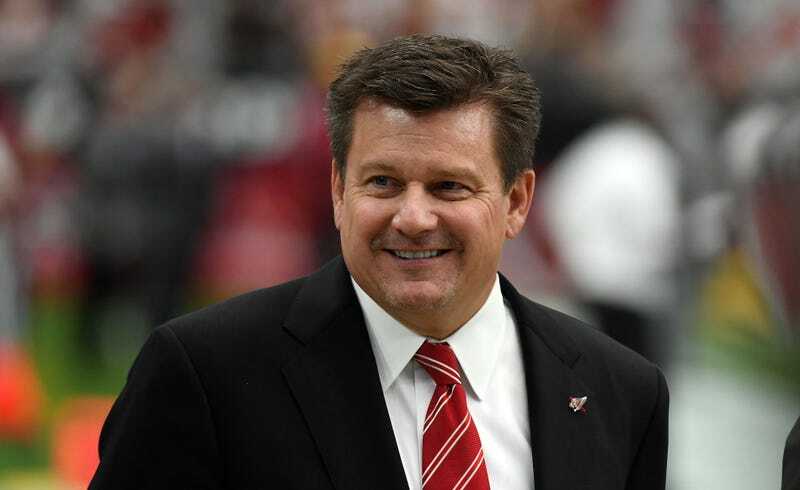 Arizona Cardinals President Michael Bidwill directly mixed politics with football—maybe he wouldn’t think so, but that’s what he did—in July, when he used the team’s website to support Supreme Court nominee Brett Kavanaugh, his old high school classmate at Georgetown Prep. Although Kavanaugh, who is currently in the middle of confirmation hearings, has been accused of sexual misconduct in high school, Bidwill is standing by his chum. “The purpose of the letter is to talk about Brett as a person,” Bidwill, out of the country on vacation, said in a phone interview. “We have known him and known what a brilliant mind he has. He’s eminently qualified. The allegation dates back to the early nineteen-eighties, when Kavanaugh was a high-school student at Georgetown Preparatory School, in Bethesda, Maryland, and the woman attended a nearby high school. In the letter, the woman alleged that, during an encounter at a party, Kavanaugh held her down, and that he attempted to force himself on her. She claimed in the letter that Kavanaugh and a classmate of his, both of whom had been drinking, turned up music that was playing in the room to conceal the sound of her protests, and that Kavanaugh covered her mouth with his hand. She was able to free herself. Although the alleged incident took place decades ago and the three individuals involved were minors, the woman said that the memory had been a source of ongoing distress for her, and that she had sought psychological treatment as a result. Reached for comment, a Cardinals spokesperson said Bidwill had no knowledge of the sexual assault allegation against Kavanaugh; still supported his confirmation despite the allegation; was not the other classmate referenced in the letter; and didn’t know who the other classmate was. If you have any more information, drop a line. Time For Lunch. The Grill Is Hot.